In 1986 Cleveland, Ohio made the Guinness Book of World Records by launching 1.5 million balloons from Public Square. The balloons were quickly blown back down to earth causing an environmental calamity. In 2012 at the Big Bay Boom in San Diego, California a 17-minute firework display exploded in less than a minute. These two spectacles are the events at the heart of Black Hole Son. 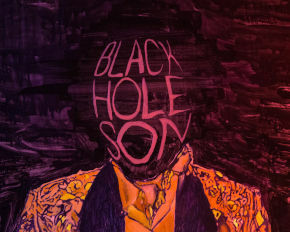 Part moving painting part processed video, Black Hole Son is about the hasty desire to make an impression.